Are you tired of limping around when you get out of bed? Don't let Plantar Fasciitis stop you in your tracks! ﻿Plantar fasciitis is the most common foot condition treated by healthcare providers. Let us help you deal with this aggravating injury. Join us on Monday March 20th at 6:00 pm. Dr. Troy Brunke, a well respected chirpractor on the Monterey Penninusla and will address the causes, symptoms, preventative measures, and management techniques of Plantar Fasciitis. 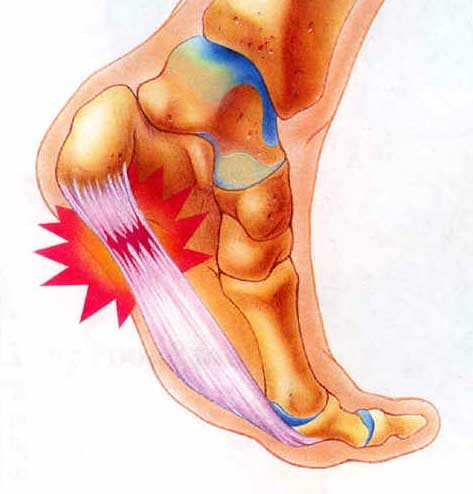 If you have experienced Plantar Fasciitis before, it is likely to come back… but only if you let it! We will have our Plantar Fasciitis solution products on hand, including the Addaday massage tools, the Strassburg Sock, Feetures Plantar Fasciitis Sleeve, and Superfeet Insoles for all types of footwear. Come early if you'd like a member of our Fleet Feet team to recommend product/s to help you find relief!